Concordia University’s School of Education Graduate Department is seeking area education professionals to lead workshops as part of its fourth annual Summer Institute Workshops on the campus of Concordia University Ann Arbor. 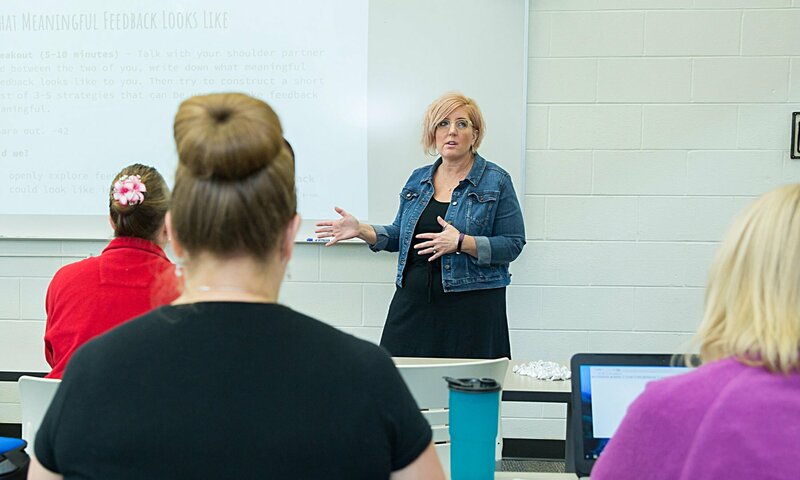 The Summer Institute Workshops, which will take place July 30-August 10, are one or two-day workshops led by knowledgeable practitioners, offering the opportunity for teachers to engage with other professionals in vibrant classroom discussion while earning State Continuing Education Clock Hours (SCECH). Those who have an interest in leading a workshop can submit an online proposal application by March 30, 2018. Presenters will be offered a stipend. The amount will vary, depending on length of workshop. Proposals will be reviewed in the order they are submitted, concluding at the end of March. Click here for more details on submitting a proposal topic and application content, or contact Julie Edler at Julie.Edler@cuaa.edu or (734) 995-7459.